We are now just 5 months away from our wedding date and things are now all full-steam ahead. We have had a busy month, buying and planning stuff for the big day, all our spare income is now going on the wedding and we have had a few problems crop up this month too. I can't believe how fast it is coming around and I am feeling a bit overwhelmed by it all, I have been tempted to cancel the whole thing and run away and elope to Gretna Green (is that even still a thing?) on more than one occasion the past few weeks. I have also started writing a monthly wedding planning article each month for Your North East Wedding magazine and my wedding will feature in it later in the year, which is a bit exciting but nerve-wracking! The pressure is on to make it Pinterest perfect which will never happen as everyone who knows me knows I am more of a Pinterest fail kind of girl, haha. This month I sat down with a shiny new notebook, is it just me that feels more organised writing things down in a brand-spanking new, unused notebook? So yeah I made lists of what we still need to pay, organise and buy and lists of when things need to be paid and little plans of what we need to achieve and pay each month between now and the wedding. It made me feel a bit more organised and focused and I have slowly been ticking things off the list. I took Sophia (my 5-year-old daughter) to a bridal shop to look at flower girl dresses and she ended up picking the most perfect dress, it compliments my dress and she looks like an actual princess in it. She also ended up with a tiara and she looks adorable, she keeps telling everyone it is 'her wedding' and she is so excited for it, bless her. We finally ordered our daytime invitations this month too, what a task that was! 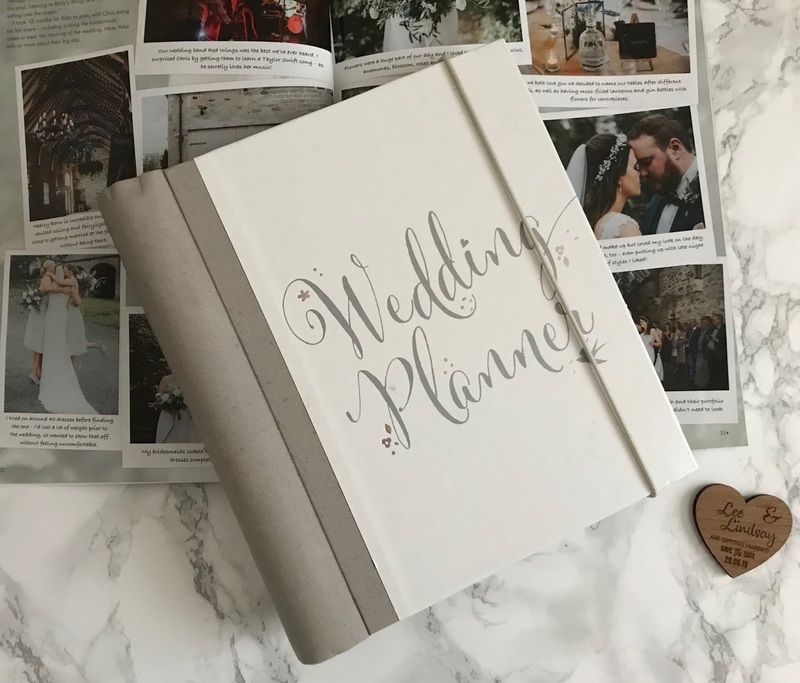 I found some gorgeous wedding stationery last year, however, it was fairly pricey and they had a huge waiting list - not great when you have left shopping for invites until the last minute! I finally managed to find some I liked, they aren't what I had my heart set on but they are ok and at the end of the day they are just going to end up in the bin anyway. Fingers crossed I actually like them when they arrive! I also ordered a post box for any cards we get, we were originally going to hire a post box but I found a wooden one online so I have ordered that instead, as we can just take it with us at the end of the night. I still need to finalise all the other decor stuff - still haven't decided on chair sashes or centrepieces, who knew it would be so hard to choose something so simple. As I mentioned I sat down and wrote down everything we need to sort for the wedding, well I totally forgot to budget for all the little things such as dress alterations, confetti, transport etc for the wedding and when I added them all up they came to over £2,000. So I am now in a bit of a panic about how to pay for them all, especially as I am self-employed via this blog and work is a bit dead at the moment. I have seriously been considering getting a weekend type job to pay for it all. We also had a bit of a problem with the guest list too, the venue we have picked only has a small ceremony room so we are limited in numbers during the day. So from the start, we said we were having it small (about 20 guests each) with only close family and friends and only bridal party children to the ceremony. We wrote our guest list and were happy with it but now people are complaining about it saying we have to invite certain people (who I don't even know) to the wedding. We are paying for the whole thing ourselves and it works out at £50 per head, I simply can't afford to invite more people as we have three children and we don't have spare money for extra guests. So I am hoping there is no arguments or upsets when the invites go out. I also had a bit of a mix-up with my hairdresser so need to find a new one of those too. I provisionally booked last May and was meant to get back in touch and pay a deposit in the New Year, however, I totally forgot and when I messaged to confirm a few weeks into the new year I found someone else had booked and paid a deposit for my date. So if anyone has any bridal hairdresser recommendations in the Newcastle area let me know. So that is what has been happening wedding wise this month, we are making progress and I am feeling a lot more organised but we still have a lot to do and pay for. Hopefully, next month will be more productive and I will be feeling a bit more excited and less stressed about our big day. You can read my 6 month wedding countdown here. Oh wow! 5 months to go already. Eek! It sounds like you have got loads done.